The Envy 6-1000us features 15.6 inch, 1366 x 768p display along with 4GB of RAM and 500GB of hard drive along with AMD Radeon HD graphics. HP has been adding to its arsenal of thin and light laptops and along the way it has come up with a new one dubbed "Sleekbook". The Sleekbooks feature AMD processors and since Intel holds the trademark rights on the name "ultrabook", the new line of laptops have been named so. The good thing is that Sleekbooks will come cheaper compared to the Ultrabooks. 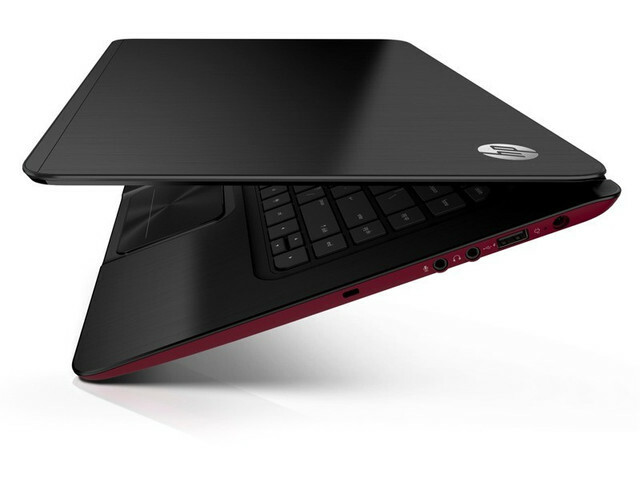 The thin and light HP Envy 6 series offers the power of both Ivy Bridge and AMD processors. The AMD powered Envy Sleekbook compares lighter and cheaper to the Ultrabooks. The HP Envy Sleekbook 6-1010us is powered by an AMD A6-4455M processor and starts at $699.99. Shipping has already started as of 20th June. Comparatively, the Intel Ivy Bridge powered HP Envy 6t-1000 Ultrabook, starts at $799.99. HP has also offered a configurable Sleekbook model, the HP Envy 6z-1000 that starts at $599.99 and comes with a free upgrade of up to 4GB of DDR3 RAM. Both the Sleekbook 6 and the Ultrabook 6, features 15.6 inch, 1366 x 768p display along with 4GB of RAM and 500GB of hard drive. The AMD model comes with AMD Radeon HD graphics, while the Intel model offers Intel HD graphics and optional AMD Radeon HD 7670M graphics card. Both laptops measures 19.8mm in depth, while the Sleekbook at 4.53 pounds is a little lighter than the 4.75 pounds Ultrabook, which also comes with 32GB of SSD for cache. Both offer a battery life of around 9 hours. Other specs include 2 USB 3.0 ports, 1 USB 2.0 port, HDMI, Wi-Fi 802.11 b/g/n, Bluetooth, an Ethernet and phone jacks. The configurable HP Envy 6z-1000 can be upgraded with either a dual-core or a quad-core AMD processor. It can also be upgraded up-to 8GB of DDR3 RAM and up-to 500GB of hard drive. The HP Envy 6 series comes equipped with HP's Beats Audio, dual speakers and a subwoofer along with soft-touch, slip-resistant base.